I remember when I was a little girl, I would always watch A Christmas Carol movie to get into the spirit of the season. My favorite scene was when Mrs. Cratchit brought out the plum pudding. 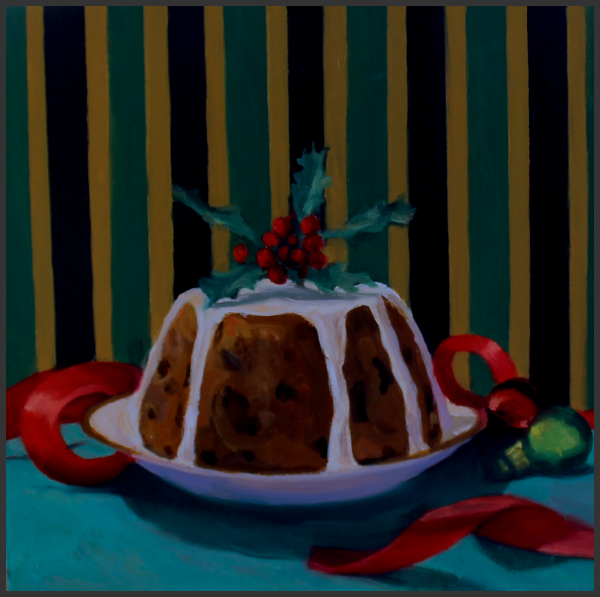 Plum pudding, AKA Christmas pudding or Pud, is traditionally served as part of the Christmas dinner in the United Kingdom and Ireland. Although it contains no actual plums, it is traditionally composed of thirteen ingredients, including dried fruits held together by egg and suet (yuck!) and an array of spices. The pudding is usually aged for a month or even a year and is prevented from spoiling due to the high alcohol content. Last Christmas, I was inspired to explore my fascination. I finally finished my painting, that has been sitting on my easel since December 2018, just in time for Spring. The last few months have been a time of great transition for me. 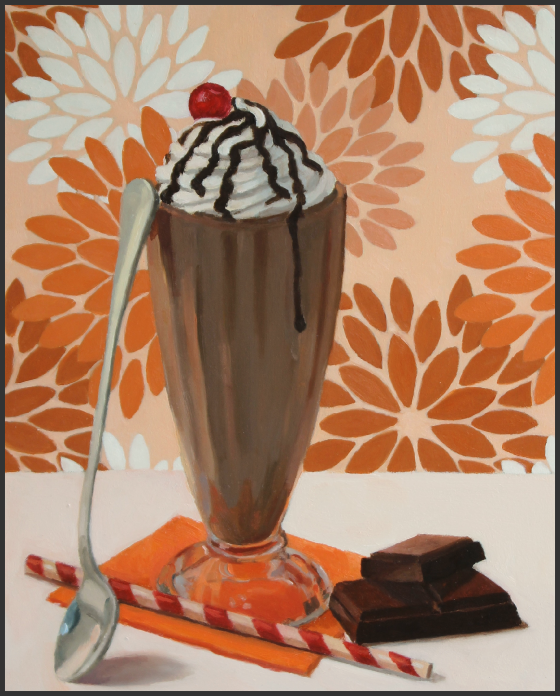 Now that my life is settling into a routine, I am hoping to post my dessert paintings more often. 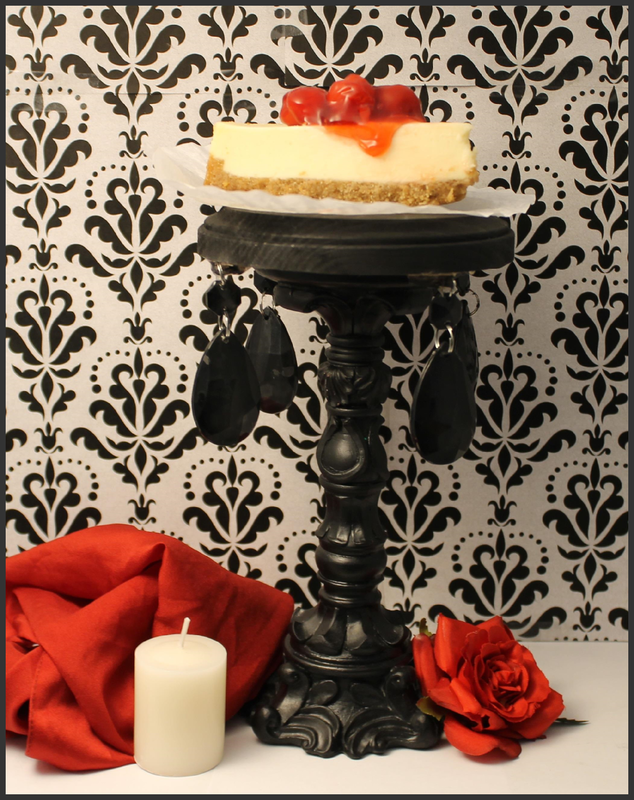 In honor of the Halloween season, I decided to make a Gothic inspired painting featuring cherry cheesecake! The center of the painting is dominated by an ornate stand, adorned with black crystals. The main color of the painting is black, which is enhanced with touches of vibrant red. There were many behind the scenes edits made to bring this image to life. 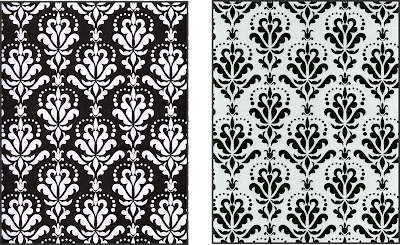 Firstly, the original pattern colors were inverted to tone down the black. Secondly, if you watch my YouTube video (linked below) you can see the painting evolve from beginning to end. You will also notice some drastic changes to the composition midway through my painting. Not only did I subtract some of the original elements, the stand was shortened to fit the square format. I believe the role of the artist is not to replicate what they see in nature, but rather to use life as a guide. Fun fact, even though black is one of the main colors in this painting, no pure black out of a tube was used. Years ago I removed ivory black from my color palette and instead, I create by own black by mixing French ultramarine and burnt Sienna. I find that it creates a richer more dynamic black than pure black out of a tube. 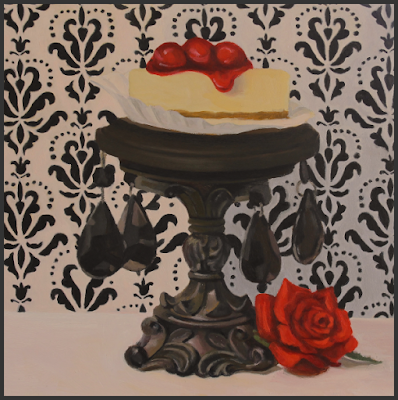 This still life really started with a pair of earrings that I found at Joann Fabrics. I chose a pale blue-green fabric to go with them and petit four desserts adorned with yellow flowers. 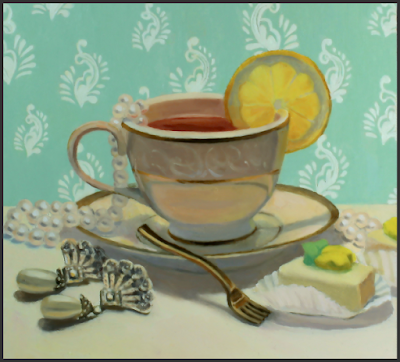 I imagine a very sophisticated lady sitting at her vanity, sipping her tea and indulging in some delicate petit four desserts! When I think about gelatin desserts, I am reminded of my favorite childhood book, "Cloudy with a Chance of Meatballs," by Judi and Ron Barrett. For those not familiar with the book, it is about the special town of Chewandswallow, where all the food rained down from the sky. I must have read this book a thousand times and each time I would eagerly await the page about the "wonderful Jell- O setting in the west." In the distance, you could see a golden Jello sun, stacked to the sky and reminiscent of vintage Jello mold desserts. 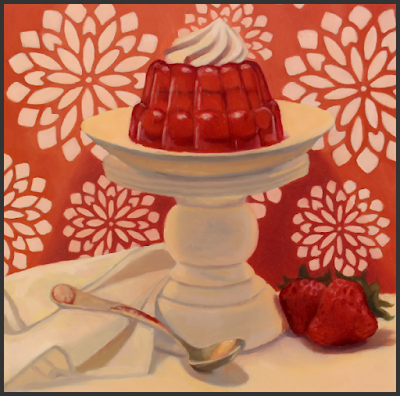 It was this memory, along with my reflections of summer picnics and and family reunions, that inspired my newest painting entitled, "Strawberry Gelatin Dessert with Strawberries." The painting features this wiggly, wobbly dessert seated atop a white pedestal and crowned with whipped cream (of course!). The light source is positioned overhead to help to highlight the gelatin and illuminate it's translucent qualities. Visually, I am drawn to the glass like nature of gelatin and its intense range of colors. With regards to flavor, I love strawberry and peach the best. I had so much fun making this painting, that I plan to make a another in the near future featuring lime gelatin. A few years ago, I was commission to paint a triptych inspired by the primary colors (red, yellow and blue). Each painting featured a different dessert that I felt complemented those colors. For blue, I painted a berry tart, seated atop a glass pedestal and crowned with a dollop of whipped cream. For yellow, I painted a mini pineapple upside down cake with a shiny sugar glaze and a ruby red maraschino cherry on top. 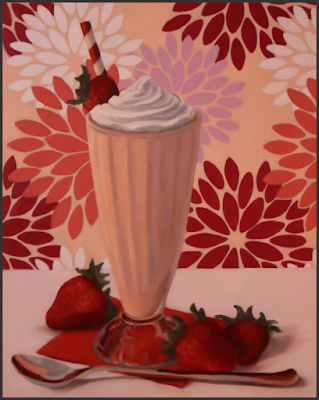 I took certain liberties when it came to painting the "red" dessert. 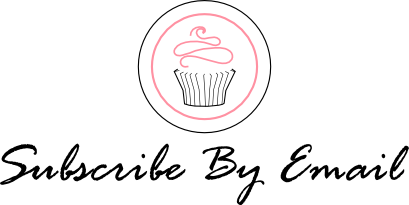 Instead of a red cupcake and background, I chose a pink color scheme reminiscent of the color the magenta. In the world of color mixing, magenta a light purplish red, is one of the subtractive primary colors used during the four-color printing process (cyan, magenta, yellow and black). 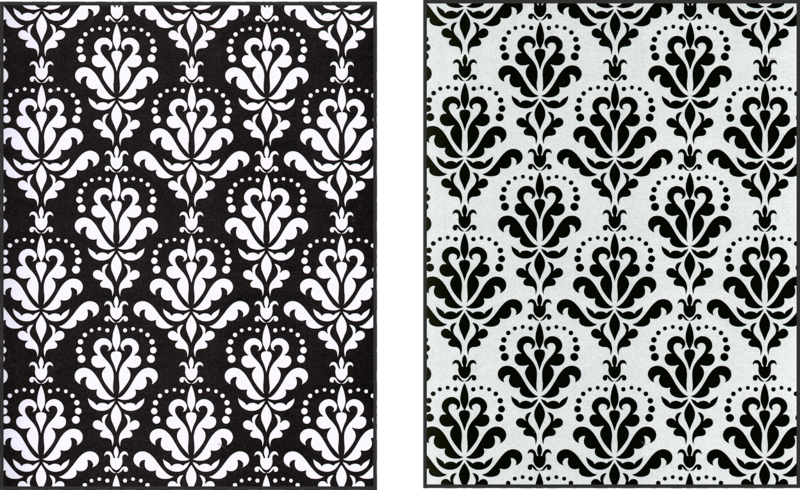 I had so much fun designing the triptych, that I have been waiting for the opportunity to make another. 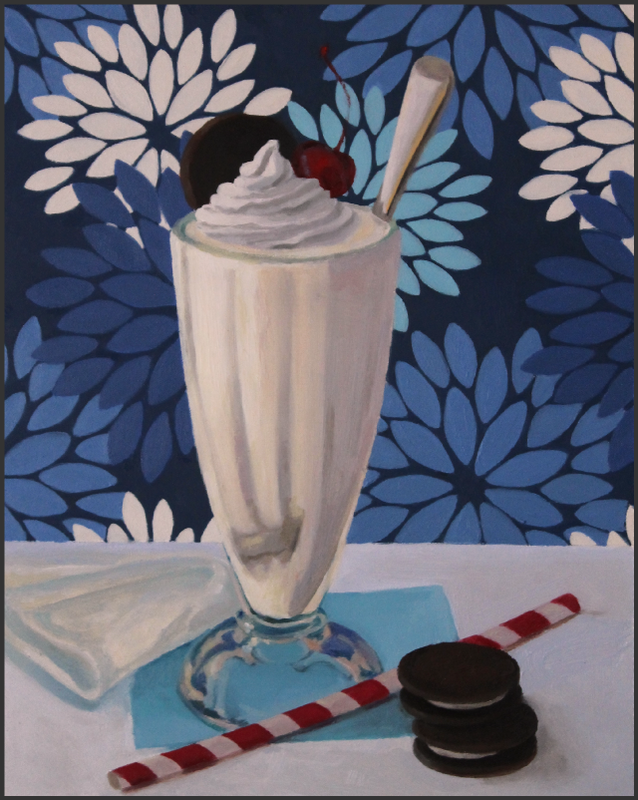 My newest painting "Vanilla Milkshake & Cookies," is the first in a series of 3 paintings featuring milkshakes! 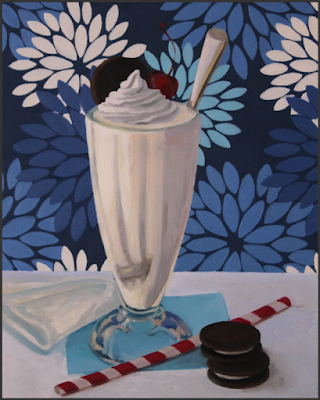 The series is inspired by one of my favorite ice cream flavors, Neapolitan. The other paintings, will include strawberry and chocolate flavored milkshakes, positioned in front of a similar background pattern.